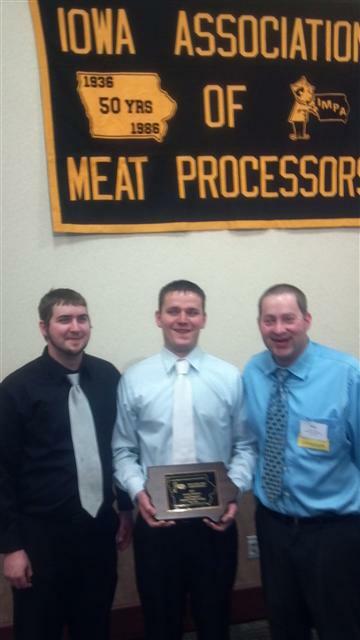 2013 Iowa Meat Convention - Polashek's Locker Service Inc. The 77th Annual Convention of the Iowa Meat Processors Association was held at the Gateway Hotel & Conference Center and the ISU Meat Laboratory in Ames, Iowa on February 14-17, 2013. Processors from 38 Iowa plants were in attendance as well as suppliers in the Trade Show displaying products and services in 42 booths. 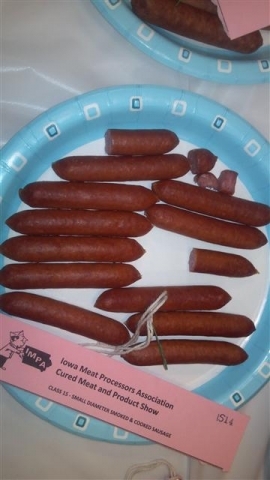 The convention participants attended seminars on the role of phosphates in processed meat products, calculations and mixing procedures for brines using phosphates, updates to the beef and pork check-off programs, manufacture of collagen casing smoked sausages, the link between animals fats, heart disease, and cancer, and correct naming and usage of single ingredient meat products under the direction of Dr. Joe Cordray, Meat Extension Specialist at Iowa State University. 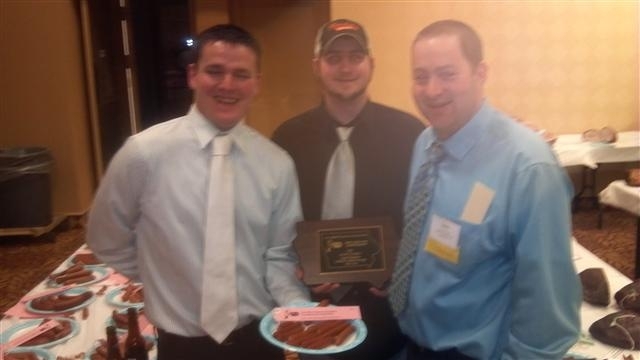 Polashek’s Locker Service in Protivin won Grand Champion Small Diameter Smoked Cooked Sausage (Smokies) in the cured meat competition at the convention.